Does your vehicle need an MOT or service? 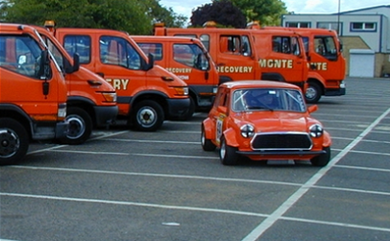 Has you car or van broken down in Norwich and need roadside recovery? Then Delmonte Garage has you covered! Started over fifty years ago our reputation grew for fast and reliable garage services. 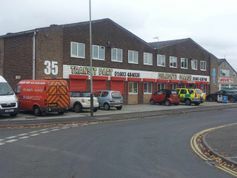 We now have over 25 staff working at our garage in Norwich assisting our customers. Delmonte Garage can also offer supply of transit parts in Norwich. Call us on 01603 398 041 to discuss your needs. So Delmonte Garage in Norfolk is your One Stop Shop for all your vehicle needs! Why chase around when one call does it all. Over the years we have continued to invest in our business with a purpose built workshop. Included in the workshop is the latest MOT ATL bays and expanded body shop. This meant we were able to increase our work load for insurance company like LV, Saga and Highway. Working with these insurance companies have earned us the level of Diamond repairer. This is one of the highest accolades a body shop can reach. We have built a strong customer base and retention rate over the last 50 years in Norwich. 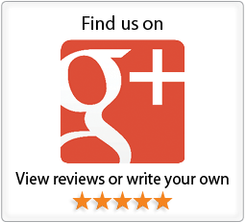 This is down to our customer focused approach and providing customers with honest advice. Whatever the reason you may need one of our services, we aim to give you a competitive quote with no surprises. To speak to us about our services all you need to do is call 01603 398041. Or you can send us a message via our Contact Us page and we will get back to you in no time at all.